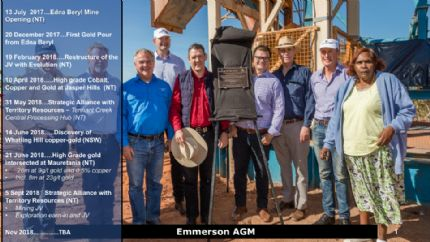 Emmerson Resources Limited (ASX:ERM) ( OTCMKTS:EMMRF) is an ASX listed gold resource company that recently (July, 2014) secured a landmark Joint Venture agreement with Evolution Mining (ASX:EVN). 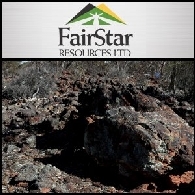 Has an aggressive exploration program and dominant position in the world class Tennant Creek Mineral Field. Is applying new exploration concepts and technologies to unlock the next generation of gold and copper deposits. Owns the only carbon-in-pulp gold plant in the region. 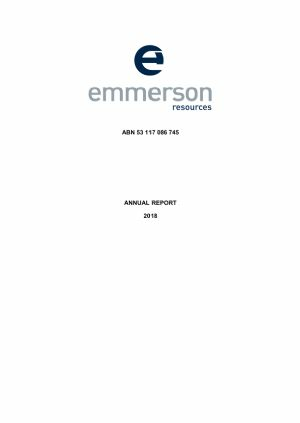 Has an experienced Board and Management team.